I love cruising the meat department! Whenever I am in the market I walk through the department and look for any sales. The best times to look at my marked are the day after a holiday. Thanksgiving, Christmas, and Easter usually have some wonderful meats that are dirt cheap. I found this pork loin for 7 dollars. Yes! SEVEN dollars! It was huge. I cut it into 3 pieces and froze it. This was such a moist piece of meat. It was a quick cook in the crock pot, only 2 hours, but it freed up by afternoon just the same. 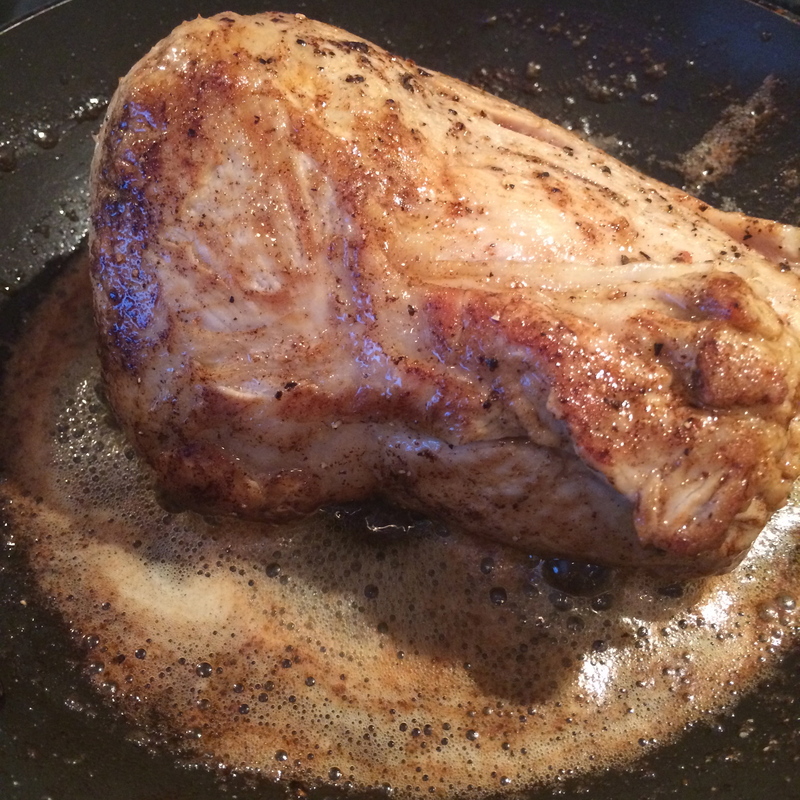 I melted a nice amount of butter in a pan and browned the pork. At first, I was thinking that it was a lot of butter, but then I realized that it was the only fat in the entire dish. And hey, let’s face it, everything is better with butter. Once the pork was browned I placed it in the crock pot. 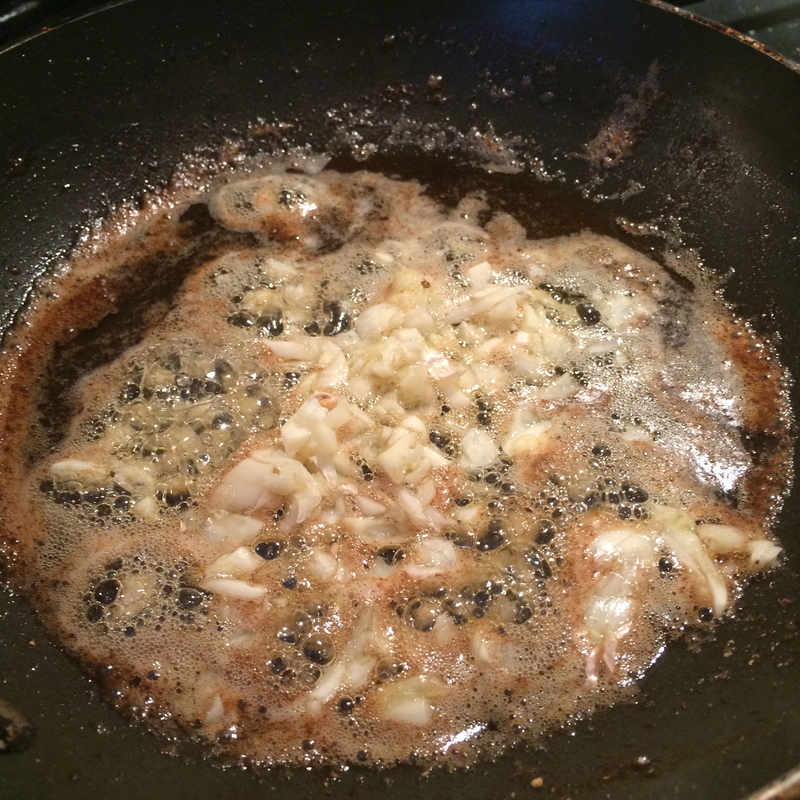 I then added the garlic to the butter in the pan. At this point it smelled so good I wasn’t sure that we were going to be able to wait the 2 hours. I then added the chicken broth and chopped mushrooms and poured it all into the crock pot. 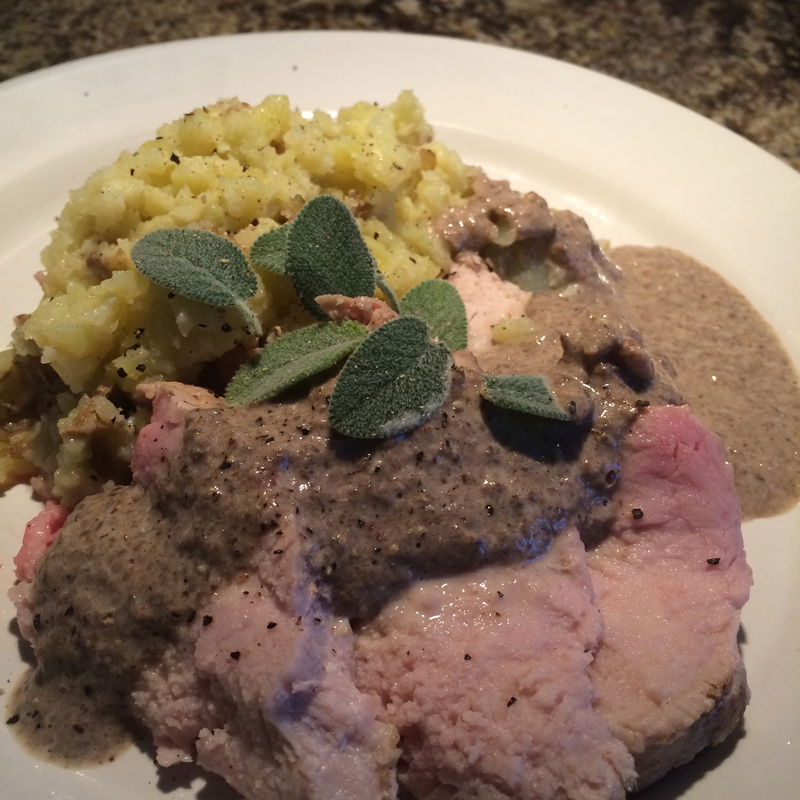 Place the rosemary and sage in the bottom of the crock pot. Heat the butter and olive oil in a pan. Add the pork and brown on all sides. Place the pork in the crock pot. Add the garlic to the pan and cook for about a minute. Add the milk, cream,and chicken stock to the pan. Bring to a simmer and scrap all of the brown bits from the bottom of the pan. 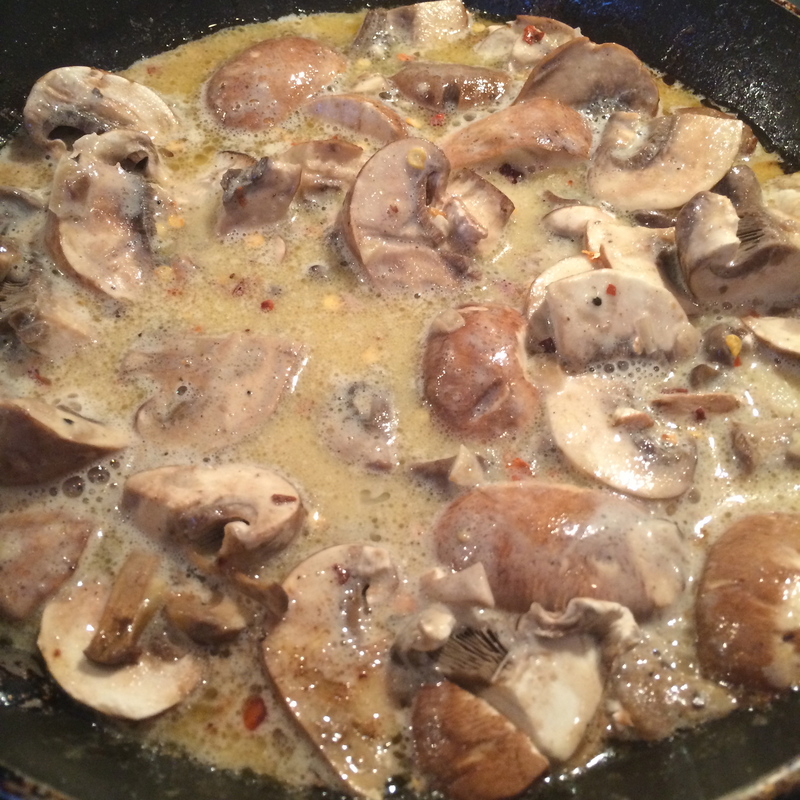 Add the mushrooms and red pepper flakes to the pan. Simmer for about 3 minutes and then pour into the crock pot. 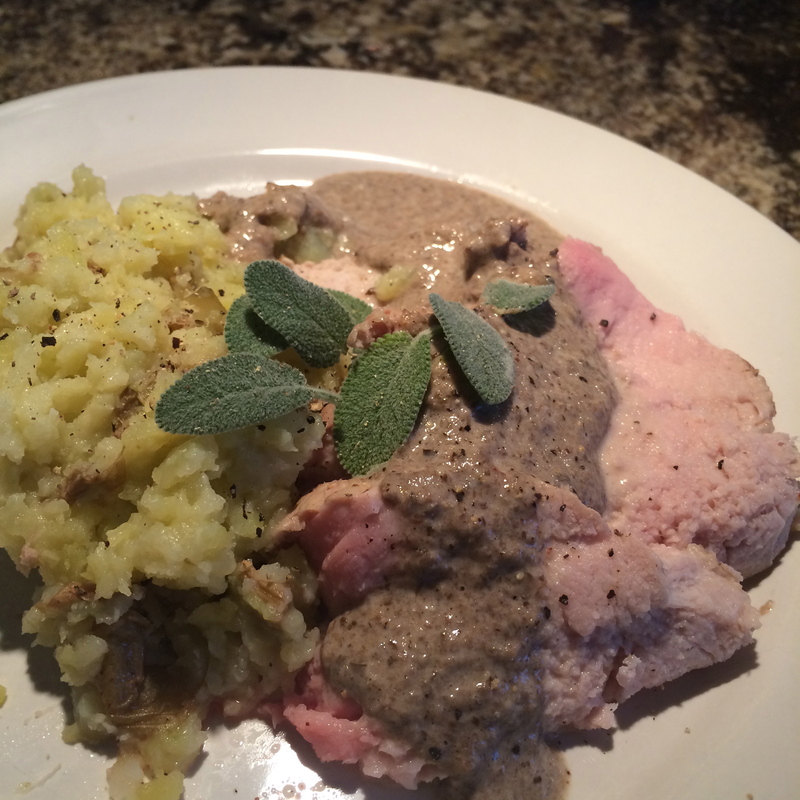 Turn the crock pot on low and let it work its magic for 2 hours. Once the pork is cooked through, remove it from the pot and tent with tin foil. 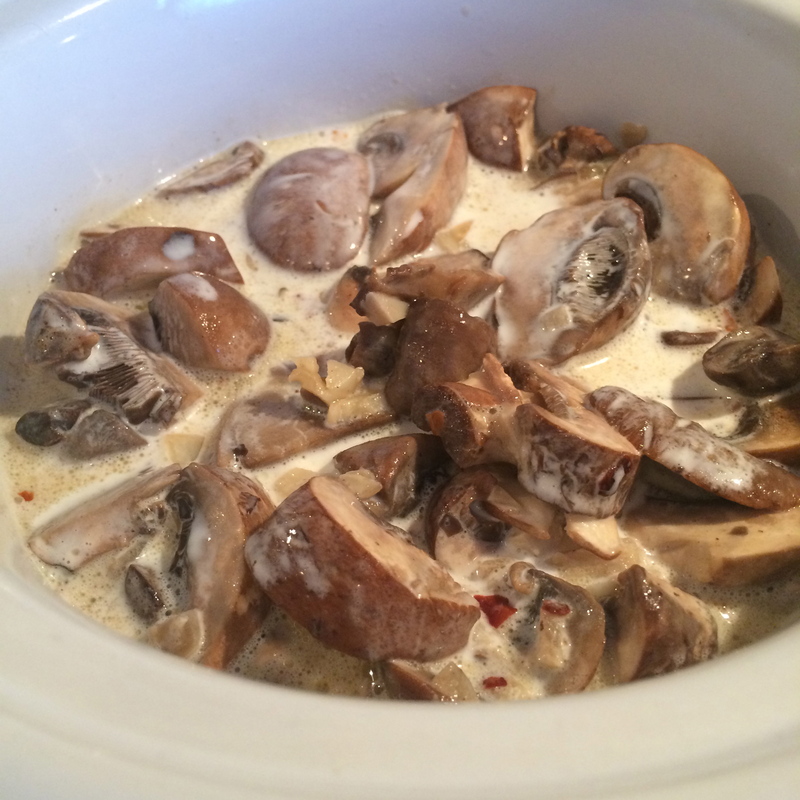 Place the mushrooms and liquid into a blender and blend until creamy. Be careful when blending the hot liquid. Make sure to leave the lid cracked so that the pressure does not build up.